New build Mosque and Madrassah constructed on new site at Gamel Road, Leicester. The focus was to provide a fully air conditioned Prayer Hall with a naturally ventilated and energy efficient building overall, conducive to learning and to provide an outstanding community venue. Duties: Full detail design including thermal modelling and natural ventilation modelling. 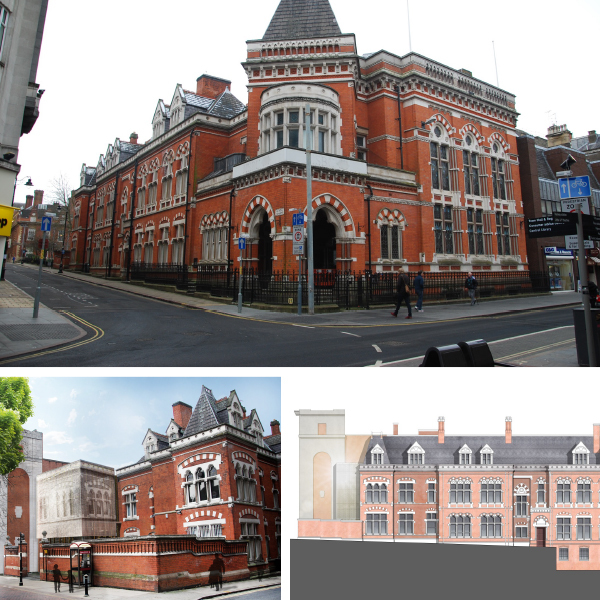 Conversion of the old Midland Bank building into a multi faith worship hall, social spaces, and living quarters. BEC were employed to develop the concept design for the overall development, including substantial catering facilities in the basement. Only phase 1 has been implemented on site to date, which has enclosed works to make the building occupiable whilst further fund raising is secured. Duties: M&E design, and site monitoring of the installation. New build Mosque constructed on new site at Canterbury Street Mosque, Gillingham. 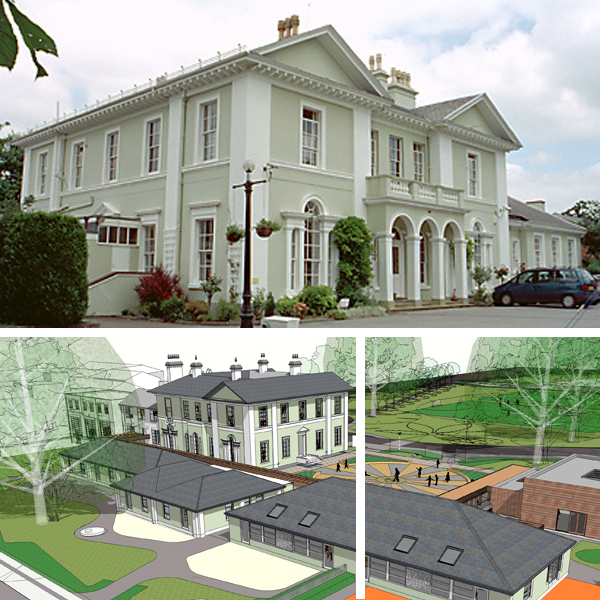 BEC have just been appointed for this project and are about to commence the detail design and thermal modelling. 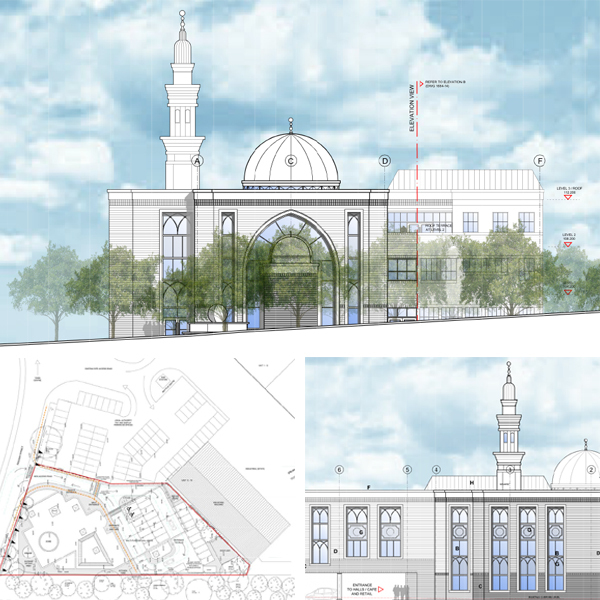 The focus is to provide a fully air conditioned Prayer Hall with a naturally ventilated and energy efficient building overall, conducive to learning and to provide an outstanding community venue. New build 16 classroom Madrassah, with commercial kitchen and prayer hall, constructed on the existing Mosque site on Evington Lane in Leicester. 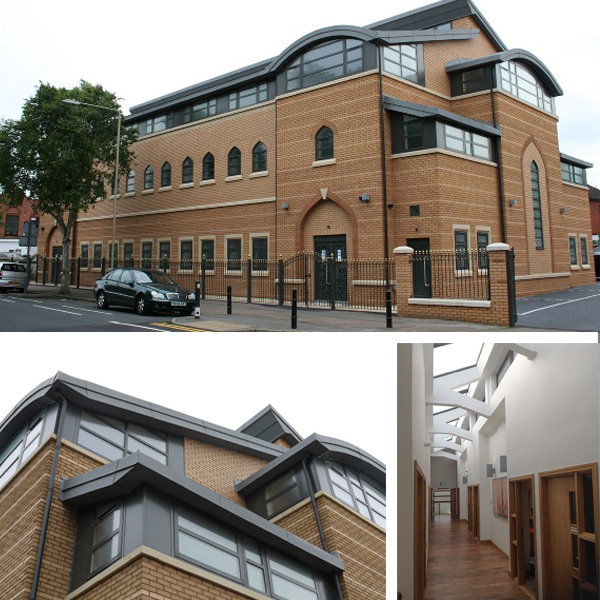 The focus was to provide a fully air-conditioned prayer hall in a naturally ventilated and energy efficient building. This produced an environment conducive to learning, resulting in an outstanding community venue. Working for the M&E contractor, BEC designed the building services required for 16 classrooms primary school with a commercial kitchen and school hall. Construction was a combination of new build, renovation and conversion of a large Victorian property. Duties: Full detail design, including SBEM and EPCs.